Punch Studio of Culver City, CA provides a range of decorative gift and accessory items. 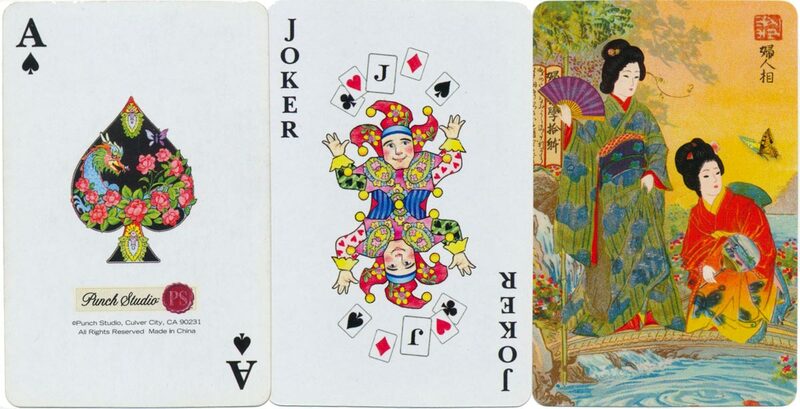 Several premium playing card sets have been published, including these ‘Garden Geisha’ themed cards, with rich colours, court designs inspired by Victorian art and crafts and gilt tipping to the suit symbols. Other companion sets include ‘Royal Peacock’, ‘Twilight Bloom’, ‘Tuscan Sunflowers’, ‘The Explorer’, ‘Hydrangea Blooms’, etc. Above: ‘Geisha Girls’ playing cards published by Punch Studio, Culver City, CA., 2013. 52 cards + 2 jokers in each deck. 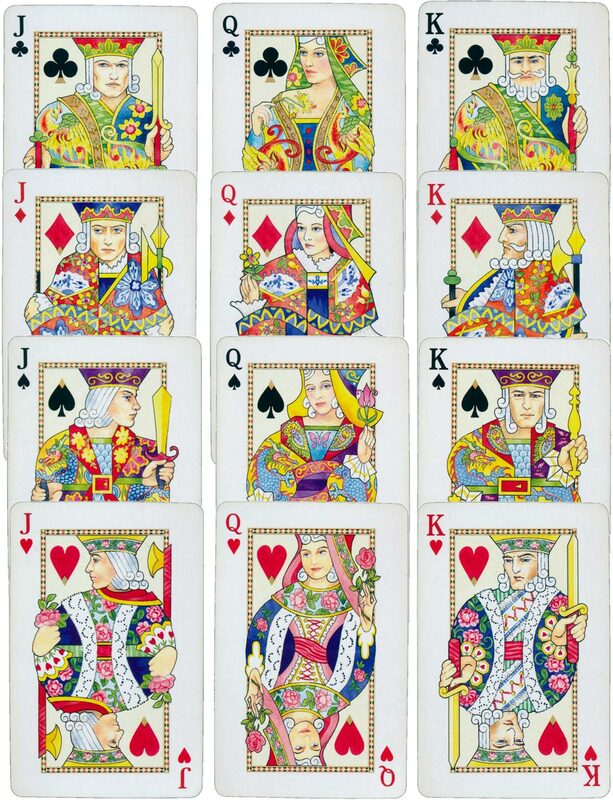 Cards manufactured in China. Images courtesy Matt Probert.